Some pictures make you stop and think. 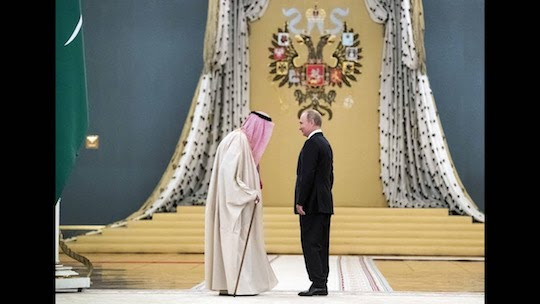 Last month King Salman became the first king of Saudi Arabia to travel to Moscow and he bows to Putin. He also brought key advisors with him to make bilateral deals. Clearly there is a strengthing alliance between these two countries that produce around 25% of the world’s oil. Saudi Arabia seems to be deepening its ties to Asia. 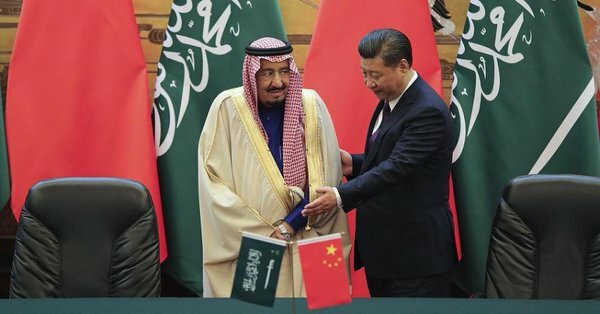 Earlier in the year King Salman also visited President Xi Jinping in China to sign $65 billion in deals. A cornerstone of the dollar’s currency reserve status is the Petro dollar agreement, made over 40 years ago. Saudi Arabia agreed to only receive US Dollars for its oil. This was a key support for the US Dollar system. However, it seems that alliances are changing. China is today a different economy than 40 years ago and in addition, it is now Saudi Arabia’s largest oil customer. Clearly there is an important subtext to the latest developments.